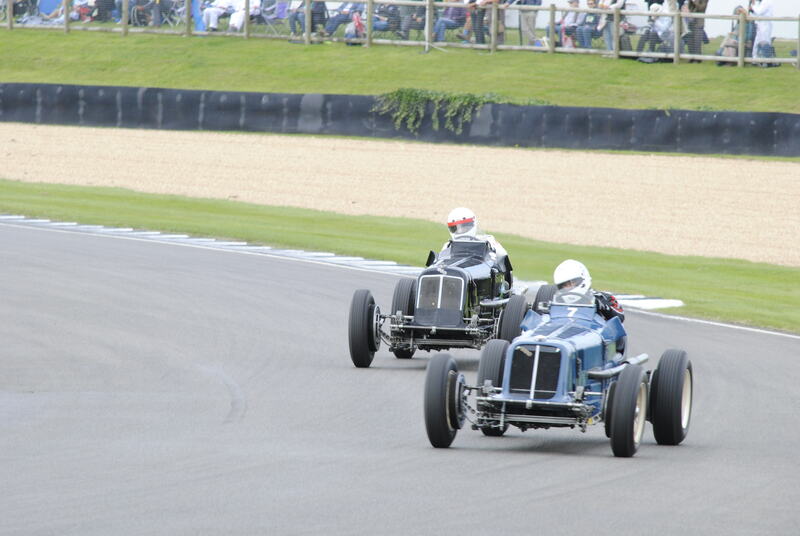 Goodwood Revival was enormous fun. I am, it has to be said, a bit of a car nut. I like cars, I like motorsport. So put a couple of hundred of the most classic racing cars in history on a track and race them – and I really do mean race them – and you’ve got my interest. Goodwood Revival is a pastiche of course – it nominally attempts to revive motorsport as it was before 1970, the reality is that it does no such thing. I would argue that it doesn’t want to either – motorsport is still dangerous but before 1970 it was practically suicidal. Goodwood itself claimed the life of Bruce McLaren and ended the career of Sir Stirling Moss. So I’ll hear no nostalgic talk of “The Golden Era of Motorsport” – sure there were things that were better, but there’s a hell of a lot that was worse. I also don’t think we want to look too with too rosy an eye at the realities of life for the average person in the mid twentieth century. We’ve come a long, long way since then. The beauty of the Goodwood Revival is that we can ignore the crappy standard of living and the appalling attitude to safety and just celebrate the good stuff. Let’s face it, the cars were much, much prettier and had an elegant simplicity that today’s machines – although clearly far superior in just about every other way – lack. The people I was with were dressing 1950s style, so I had to fit in with them. 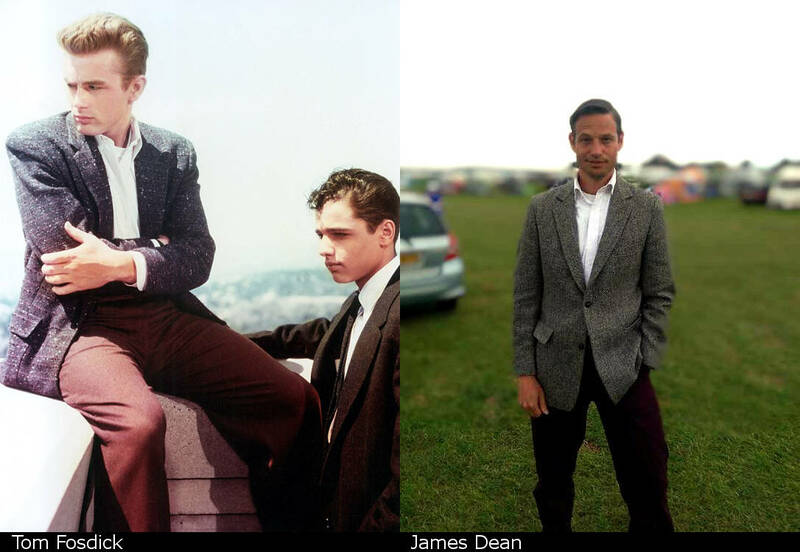 I’m not exactly preppy, I’m not a military person and a not really a biker so (months ago) I started looking at what the early Teddy Boys wore. This was a bit of a non-starter – they wore smart Edwardian clothing. The basic lounge (business) suit hasn’t really changed much in 100 years so whilst looking like an authentic 1950s Ted is pretty easy, it’s not really playing the game. Tweed jackets also have the added bonus of being warm, which is a definite advantage at a race track. Trying to find accommodation is a pain. There is a lot in the local area and Goodwood do put on shuttle bus services, but demand far outstrips supply. The reality is that if you do find somewhere for a reasonable price you’re likely to have to drive into the event each day. That’s inconvenient from a traffic point of view and also because you have to have a designated driver, which is not really in the spirit of Goodwood Revival (see earlier comments about this not actually being the 1950s). The other option is camping at the site. This however is not like camping a music festival. You get a good size pitch and the facilities are good and well maintained. You’re also with a different set of people: camping – or more precisely motorhomes and caravans – are deeply embedded into motorsport in the UK. These are people who are used to being to be up and compos mentis at a reasonable time in the morning because they’re involved in the racing. Sure there’s some pretty hard partying going on, but it’s at the event- the camp site is actually a bit of a peace haven. We’re experienced campers and nothing about the arrangements really phased us. Overall Goodwood do a great job in creating a perfectly reasonable temporary camp site in what is otherwise a farming field. The route to the camp site is adequately signed, but only just and the signs start appearing a little on the late side compared to the main event signs. There are generators and flood lights at each facilities station that run all night. If you’re bothered by these pick a pitch away from them. People actually drive across the site to the facilities. The site isn’t that big however and anyone without mobility problems doesn’t really have an excuse for this. Traffic queues to get in and out of the camp site are pretty horrendous at peak times. Toilets, showers and washing up facilities are provided and I think I saw an Elsan point. There’s also a “boudoir” where you can do your make-up etc. Don’t get too excited, it’s just a portacabin. The site is pretty flat, but make sure if you’ve got a tent or awning that you bring good pegs, the ground is very, very stony. The camping overall is a little disorganised, it somewhat relies on the fact that the majority of people there are seasoned campers and that everyone can work things out for themselves pretty well. So we arrived mid-Thursday. There was a fish and chip van on the camp site but it wasn’t signposted and we in fact came across it entirely by accident. Other than that there didn’t seem to be much around or much information on what might be elsewhere. We were aware however of “Over The Road” – shopping and entertainment zone that didn’t require a ticket. We figured that some of the stall-holders would be aware of people arriving on Thursday and would probably be open so we decided to head there. This is when we ran into the first problem – there was no information about how best to get there. So we followed the signs to the track and found not only the entrance to the venue locked but the exit from the camp site locked and a total lack of any information or signs. We looked at a (OS) map, hopped the gate and made our way via the roads to “Over the Road” – something that I wouldn’t recommend unless you’re accustomed to walking on country roads. We got there to find that only a handful – out of several hundred – of the stalls were open. It was lucky we had eaten earlier and had some beer back at the camp site otherwise we would have really struggled. As it was we got the lay of the land then made our way back to the camp site. All of this hassle could have easily been resolved if the information we’d been given at the start – about camping – were a little better. Now, enough of the complaining. Here’s a picture of a Jaguar D-Type. So Friday morning came and we made our way to the track and attempted to buy a programme. Finding a stall was easy, people were leaving with programmes and money seemed to be changing hands. It wasn’t advertised as a programme stall however and this became a common theme of the weekend: all the staff are extremely helpful and well informed, but signs and directions were sometimes a little lacking. Common sense is definitely required. If you’re not familiar with classic racing events you would be forgiven for thinking that they’d be populate largely by owner-drivers tiptoeing round the track, terrified of scratching their pride and joy. This is former – and possibly future – Formula 1 driver Guido Van Der Garde a few seconds after he’d demolished the chicane with what was until that point a rather nice example of an AC Cobra. The car was recovered to the pits where a combination of crowbars and lump hammers was used to re-shape the offending bodywork so that it didn’t foul the wheels and was something approximating the shape it should be. Several reels of tape were then applied and the car was then sent on its way and spent the rest of the weekend quite happy. I don’t know what the total car casualty list for the weekend was and I’d hate to think of the bill. OK, so nobody’s taking the same level of risk that their historic counterparts would, but here’s my point: they’re definitely very serious indeed about racing. One question for us was grandstand or no grandstand. Grandstand seats certainly don’t guarantee you a better view – many of the best views are to be had stood near the track. The one big advantage that a grandstand gets you is somewhere dry – there are a few other covered areas but none that you could watch the racing from. If you don’t mind getting rained on, I’d say don’t bother with grandstand seating. I’m not going to go into the racing too much because Goodwood themselves do that a lot better. You can currently watch all the 2015 races on the Revival site. There were some pretty fun races. Of course a major part of The Revival is the feel of being somewhere in the mid twentieth century. A lot of people dress in the fashions of the day – enough that it seems normal. The venue helps too – the last contemporary race at Goodwood was held in 1966 and it was effectively closed in 1970 which gives them a bit of a head start, but a lot of effort has been put in at the venue to make it look like something mid twentieth century. The track also has a distinctly retro feel, there are no large safety fences as there would be at a F1 Grand Prix track. There are large run-off areas, gravel traps and large banks of earth fronted by ranks of tyres and Armco barrier. This means you can get some great views and really feel like you’re part of the action. On the flip side it’s hard to not be aware of what it says on the back of every ticket, “motor sport is dangerous”. There are a lot of stalls. A lot. Most of them are related to motoring or motor sport. There are a few others, I particularly remember a barn construction company and a number of niche clothing companies. You could easily lose a day between the main venue and “over the road” just going round the stalls. There are also the paddocks, somewhere around half of these are open to the public to have a nose around – being able to get up close and personal with some of the cars is a real privilege – a lot of them are of major historic importance and are utterly irreplaceable. There are also other attractions too – the Earl’s Court Motor Show, Bonhams, etc. If you want to see a decent amount of racing then you need at least two days to get round everything. Speaking of getting around, there are handy, free and frequent tractor-buses that circle the perimeter. Otherwise it’s a fair old walk. There is certainly no shortage of booze, but don’t expect pub prices. If you want to get yourself over-refreshed it’s going to cost you – particularly if you end up in one of the Veuve Clicquot bars. There is however nothing stopping you from bringing in your own favoured tipple, although if that’s beer it could get rather inconvenient. There’s also plenty of entertainment, a couple of small stages at the event that host bands and a couple of touring groups of singers. “Over the road” also had a roller-disco and another stage. All of the acts we saw were pretty good. Food however was a bit of a let-down. There were a few catering tents that did average quality mass catering for prices that weren’t too horrendous. There were also a reasonable number of catering vans. The problem is that most places sold pretty much the same things – pies, pasties, burgers, fish and chips. There were a couple of pizza stalls which were really the only vegetarian option. I’m sad to say that compared to the British F1 Grand Prix at Silverstone the catering at Goodwood Revival was poor. We visited FoS in 2007 the catering was pretty decent which only served to add to our frustration. Yes, there were a few knocking about – particularly a few notable owners / drivers. The ones we saw were all very friendly and patient. There were a few other people we spotted around too. Quite a sizeable chunk of the venue is however dedicated to VIPs of one sort or another. This can be a bit irritating at times, particularly if the car you want to gawp at is in one of the “Members Only” paddocks. One has to keep in mind however that the access one gets as a mere prole is remarkable anyway – there’s no way you can get near any of the cars at most race meets! OK, I’ve been a bit whingy and it’s true there are problems, but now you’ve read this you know what they are and how to deal with them! 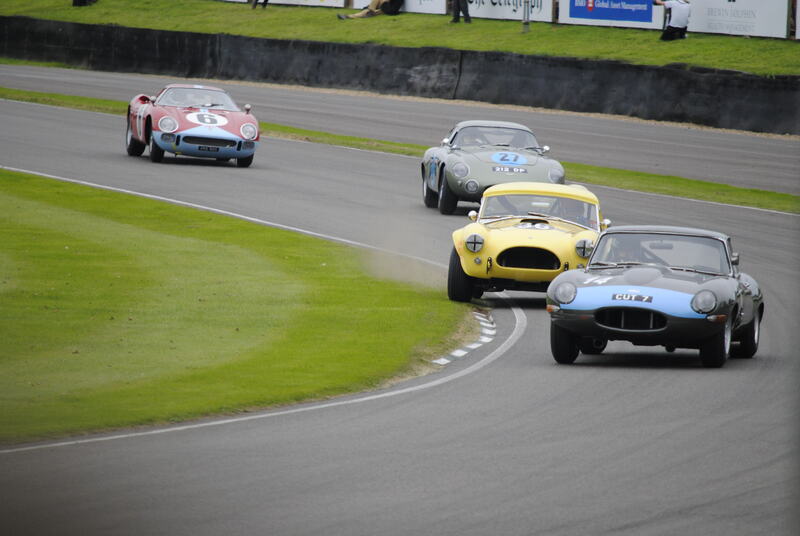 Overall Goodwood Revival is a fantastic event and enormously good fun for any kind of motor-sport fan. This entry was posted in Motorsport on 2015-10-05 by Tom Fosdick.